Simon & Schuster, 9781439110195, 624pp. A sweeping narrative worthy of a Hollywood epic, this is the authoritative biography of the warrior-statesman who was the greatest figure in Latin American history. 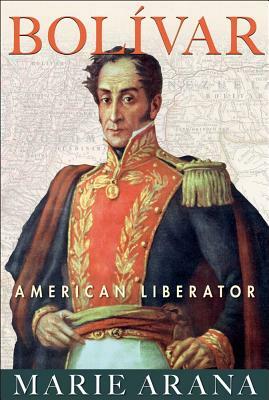 "The 'George Washington of South America,' who freed various countries from Spanish colonial rule, emerges in this account as a complex hero. . . . Arana offers a clear-eyed assessment of the ideals, alliances, and human frailtiesthat drove Bolívar’s choices and shaped the Americas." "A fascinating biography of the charismatic military leader who sparked a revolution." "So who was [Bolivar] that, two centuries after his birth, Chavez would be but the latest to manipulate the flexible power of Bolivarian myth to ideological ends? The answer is complex, and it therefore makes sense that someone with a novelist's grace and a journalist's precision would produce such a satisfying response. Arana . . . manages to both praise Bolivar's achievements and critique his shortcomings, thereby illuminating both the man and the messiah (or demon) that he sometimes became."